Rangers manager Steven Gerrard has vowed to keep opposing teams guessing when it comes to his formation. The arrival of Jermain Defoe has left Gerrard often preferring to include both the veteran striker and Alfredo Morelos in his team, and shaking up his formation as a result. The Gers boss has played with a diamond, while he has also deployed a 4-3-3 system, in addition to 4-4-2. Gerrard takes his men to Aberdeen on Wednesday nighf for a crunch Scottish Premiership game and the Gers boss is keen to make sure that opposing sides are not easily able to predict how he will set up. 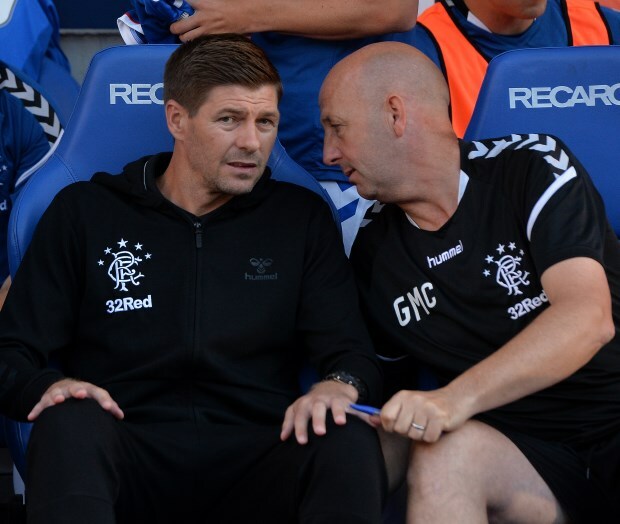 "You learn all the time with players individually and collectively but certainly having Jermain around does give us more of a threat and gives us the chance to play two forwards on the pitch, which is what we’re going to need at times", Gerrard told Rangers TV. "It is my job to keep oppositions guessing. There was times when we played the four-three-three system before the winter break where we were looking like we needed more of a threat on the pitch. "We went to a four-four-two against St Johnstone when [Kyle] Lafferty came on and he made a big difference and gave us more of a threat up top. "We have got options to do that but I won’t be playing four-four-two every week or four-diamond-two every week. "We do have to have flexibility in our game if we want to be successful", he added. Rangers are six points behind Celtic at the top of the Scottish Premiership standings and will be desperate to make sure they avoid slipping up at Pittodrie. It remains to be seen how Gerrard will set up against Derek McInnes' men.